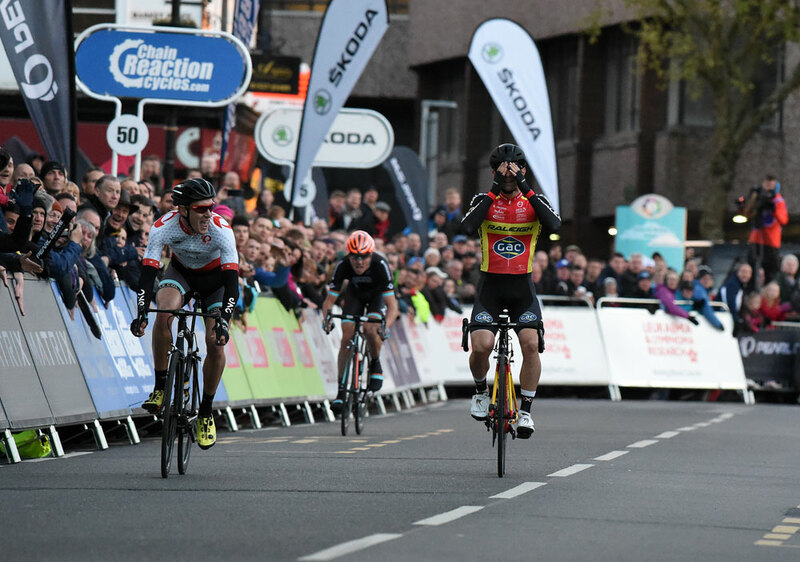 The Raleigh-GAC rider thought he'd taken the individual win in Redditch last night - but then realised he had celebrated too early. Raleigh-GAC’s Morgan Kneisky isn’t the first, and definitely won’t be the last rider to prematurely celebrating a victory that he doesn’t actually take. 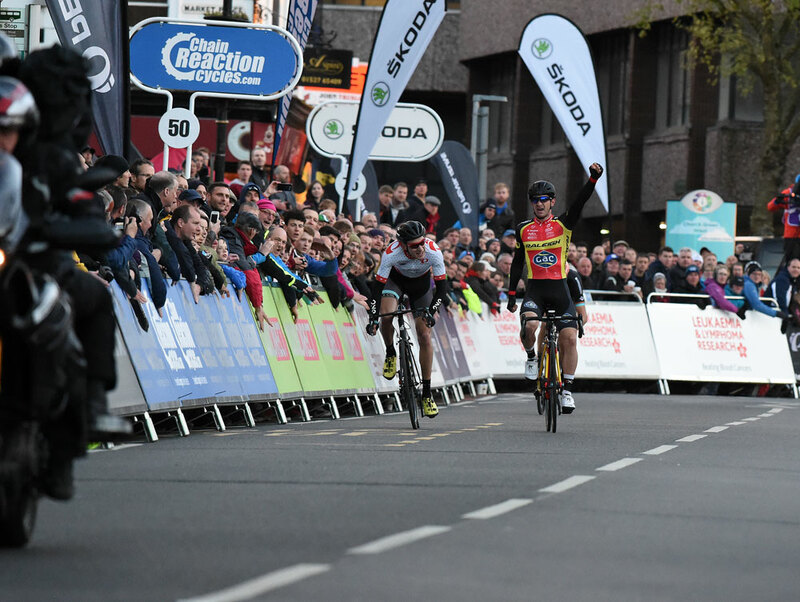 The three-time world champion on the track thought he’d taken the individual win in round two of this year’s Tour Series in Redditch last night – only to realise that an onrushing Jon Mould (One Pro Cycling) was sprinting to his right. Kneisky realised his mistake before the line, but not in time to prevent Mould from taking his fifth individual victory in the event’s history. The 24-year-old now sits equal with Dean Downing’s series haul, and one off Ed Clancy’s all-time best of six. 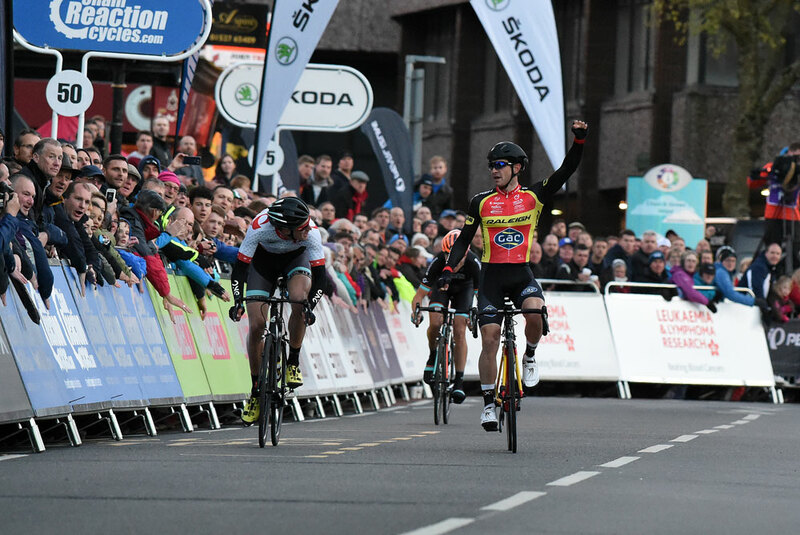 Despite Mould’s victory, which came after four riders broke clear on the final lap, Madison-Genesis took the team win to move into the series lead. 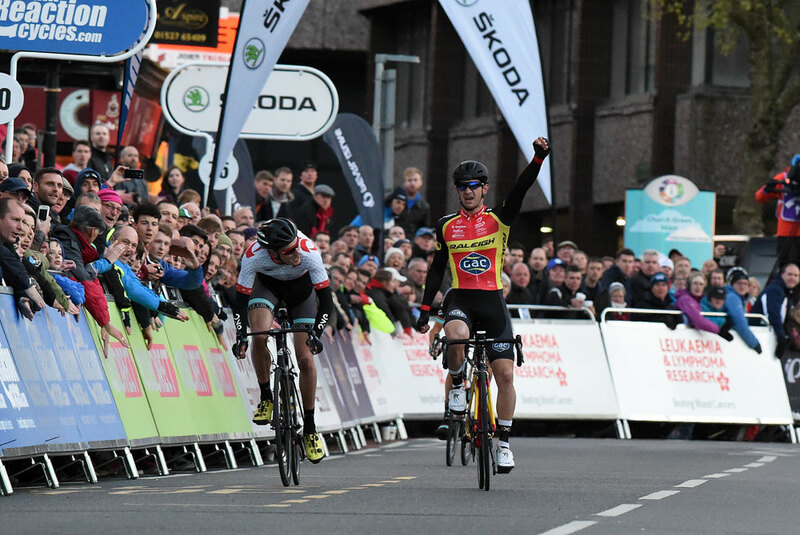 Surprise packages of this year’s series, Pedal Heaven, placed second on the night – their best ever result in the event. 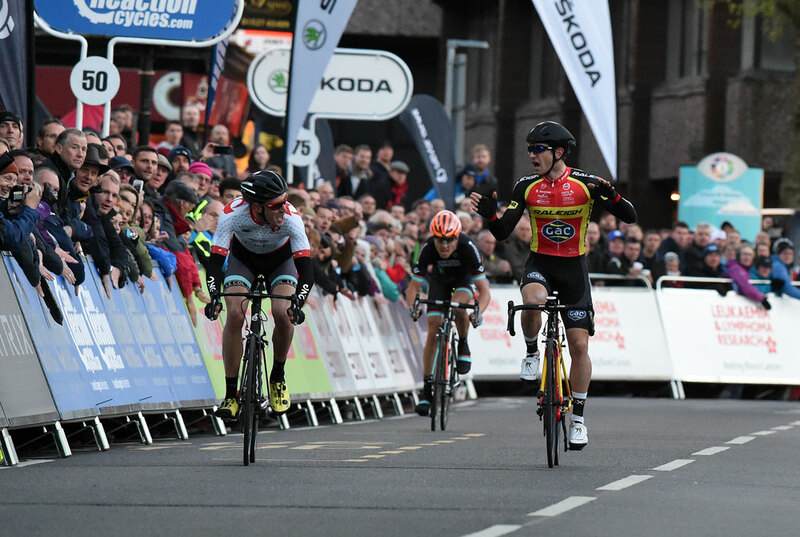 One Pro Cycling sit one point behind Madison overall after finishing fourth.
. @KneiskyMorgan Gutted for you mate, it would have been good to have a sprint!! See you in Wales!! 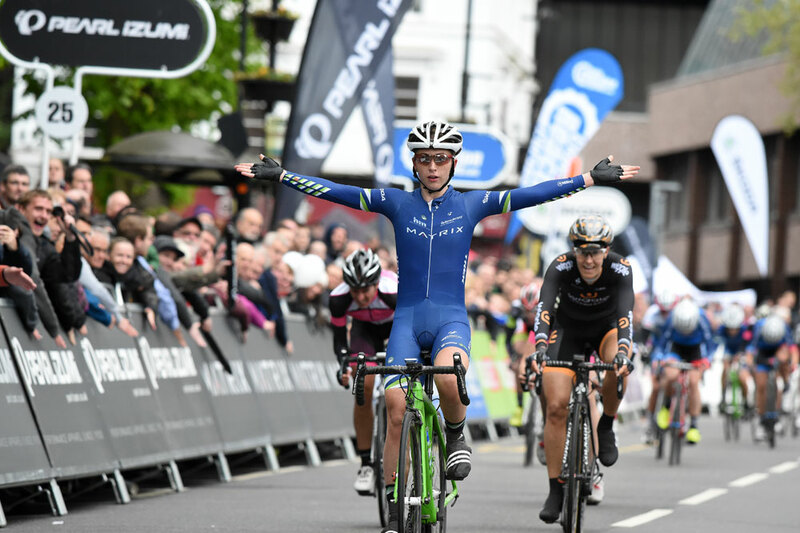 The opening round of this year’s Matrix GP Series preceded the men’s event, and saw Laura Trott take her first win in the event. Trott (Matrix Pro Cycling) beat fellow Olympic team pursuit champion Dani King (Wiggle-Honda) and Nikki Juniper (Team Giordana Triton) to the victory.